The CTO-30A Column Oven enables working with high temperatures up to 150 °C with an Intelligent Heat Balancer. The Oven can be equipped with a preheater capillary before and a cooling capillary after the column. Optional high-pressure flow-line selection valves can be installed inside, to allow switching between up to two columns. On an LC/MS system, shortening the tubing from the column to the MS is important. The optional CTO-30AS Column Oven is installed on the side of the SIL-30ACMP. Its installation height and angle can be adjusted to align with the height of the detector, so tubing after exiting the column is much shorter. This minimizes the peak dispersion and achieves ultrafast, high-separation analysis by making full use of the column’s performance. The CTO-20A is a forced air-circulation-type column oven. It can regulate the temperature in a range going from 10 degrees above room temperature to 85 °C. 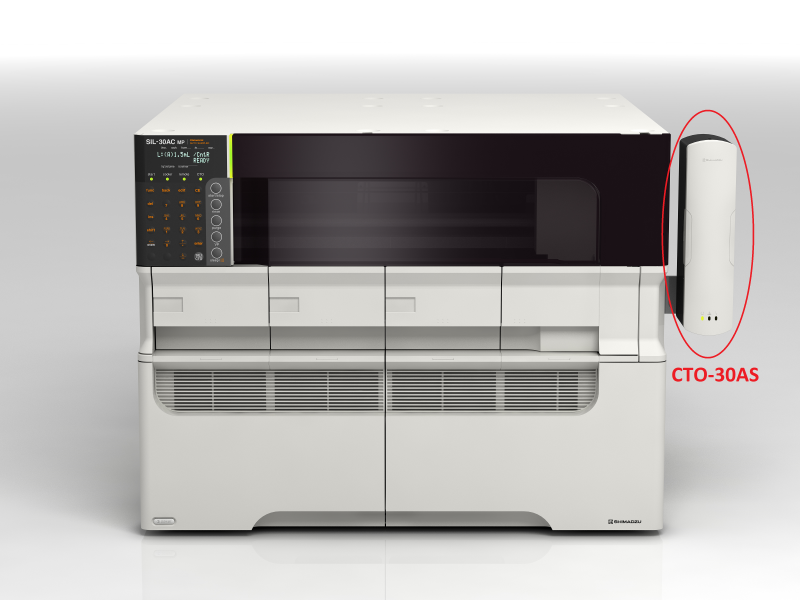 The CTO-20AC, using an electronic cooler, can regulate the temperature in a large range going from 10 degrees below room temperature to 85 °C. In addition to the column, various other parts and units can be accommodated, including a manual injector, gradient mixer, high-pressure flow-line selection valves, a conductivity-detection cell block and a reaction coil. A compact oven with minimal space requirements, and a cooler for a low price. 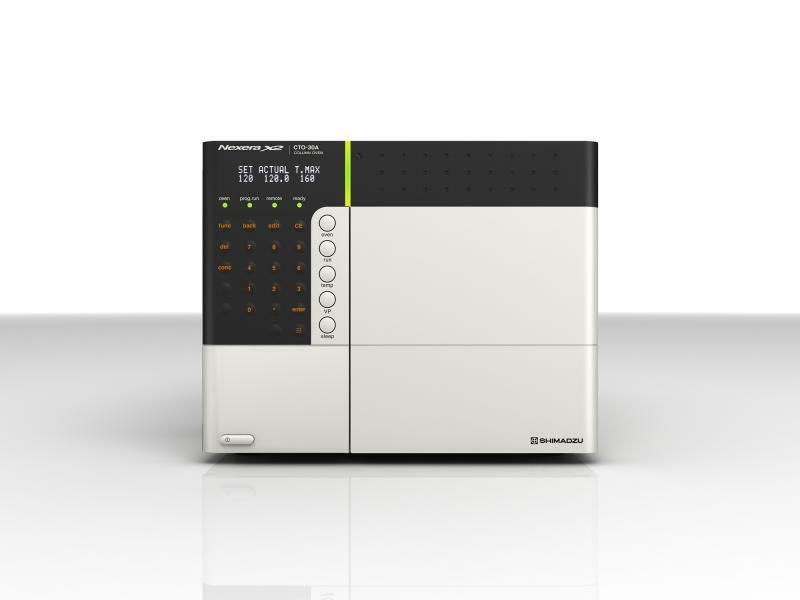 Temperature Setting Range: 4 °C to 80 °C* For reaction LC systems, use CTO-20A/20AC models. The CTO-10ASVP column temperatures may differ from the temperature indicated on the oven, depending on the column size and shape.